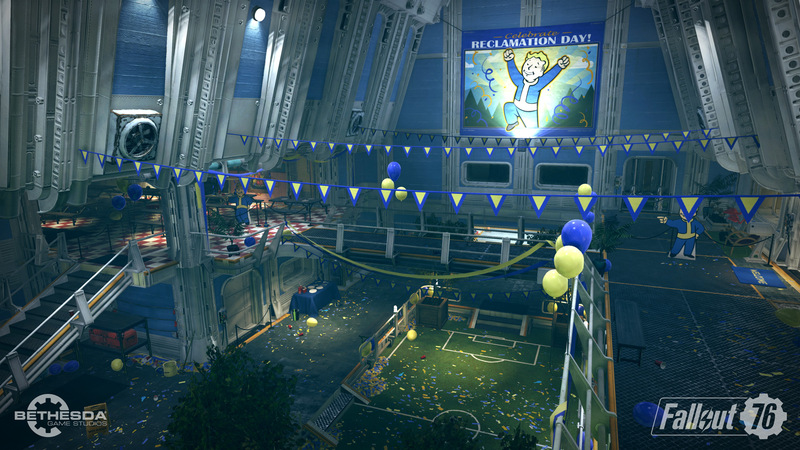 Fallout 76 has now launched fully, after having been available in beta for the last few weeks. What's becoming perfectly clear is that the post-nuclear wasteland of Appalachia is a seriously dangerous place to be. Infected ghouls, giant scorchbeasts, and of course other players all hide around every corner, so you'll need to be careful. To help you make the most of your time in Fallout 76, we've been busy puuting together this Fallout 76 Guides Hub. It's where we'll list all of our Fallout 76 Guides content, from a look at the best weapons, to Power Armor locations. When we’ve spent more time with Fallout 76, we’ll be adding more and more info below. For now though, and while the game is only live during scheduled times, we’ve collected what we’ve got so far below. The first major patch for Fallout 76 arrives on Dec 4, 2018. We've listed all of the Fallout 76 Patch Notes below, which cover Stash Limit increases, and fixes for certain persistent bugs. Fallout 76 isn't a particularly great looking game, and the fact that it gives very little in the way of options for changing things around makes it even worse. There are ways to change the FOV, Depth of Field and FXAA setting in Fallout 76 though, but you'll need to head into the game files. You'll need to make a copy of the Fallout76prefs.ini file, and rename it to Fallout 76Custom.ini. From there you'll need to delete the contents, and can then edit them as you wish in notepad. We've listed the seetings for some of the things you can change below. Fallout 76 Factions - Factions List, Locations, Can You Join Factions? Fallout 76 Base Building - Crafting in Fallout 76, C.A.M.P System, Can You Build Co-Op Camps? Are There NPCs in Fallout 76? 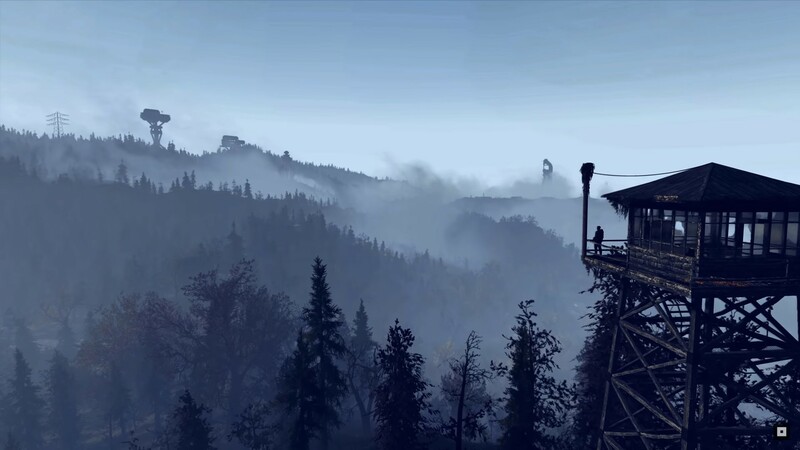 Does Fallout 76 Have a Single Player Solo Mode? Fallout 76 Bureau of Tourism Quest Error - Is It Broken? Scrap everything. You’ll get a chance to earn Blueprints when you scrap weapons, so pick things up then take them back to the Bench to scrap them. You can’t place Camps too close to Places of Interest. You can use your C.A.M.P as extra storage so don’t be afraid to pack it up and move it around with you. It’s pretty cheap to redeploy, so don’t worry too much about having your base in one place. Remember to plant stuff, it’ll grow while you’re away! Don’t drink dirty water, you will get a disease. Depending on which disease you end up contracting, you can burn through a lot of resources trying to fix things. PvP is kind of optional, just don’t retaliate fire and you’ll take barely any damage from enemies. Turn off your Pip Boy light. Other players can easily spot it, and it actually affects your Sneaking stats as if there were a light shining down on you. You can hide armor under clothing, as can your enemies. When you come across power armor, don't just pick up all of the pieces and put them into your inventory, they weigh a ton. Instead, transfer the frame itself into your inventory, it only weighs 10, regardless of the pieces attached to it. This is only true if the Power Armor is not over the level of your character. Fresh food will spoil very quickly so make sure it doesn't go to waste. You can use purified water to dilute Stimpaks and RadAway. This lets you use them to half heal or remove half the amount of Rads, potentially making them more efficient. You can change your appearance at any time in Fallout 76. Just open your map and then hit L1/LB to head into the menu. From here you can access the character creation menu. Keep an eye out for patches and downtime, you don't want to be in the middle of the game when they take it down. Team up if you can, you'll be able to take on higher level missions for better rewards. As soon as Fallout 76 was confirmed to be online-only, players naturally started to wonder about how VATS would change. Obviously you can't slow down time in an online game, so how exactly does Fallout 76 handle VATS? We’ve listed some details below. VATS is now essentially an auto lock-on. You hit the button and automatically target enemies in your vicinity. You can move the right stick around and are presented with probabilities, all in real-time. You’ll need Perks to allow you to target body parts. If you're looking to increase the percentage chance of hitting the enemy during Vats combat, you'll need to increase your Perception ranking. There are also several Perks that will make your Vats more effective, like ones that let you select individual limbs.